Courtesy of Coldwell Banker Triad High Point. 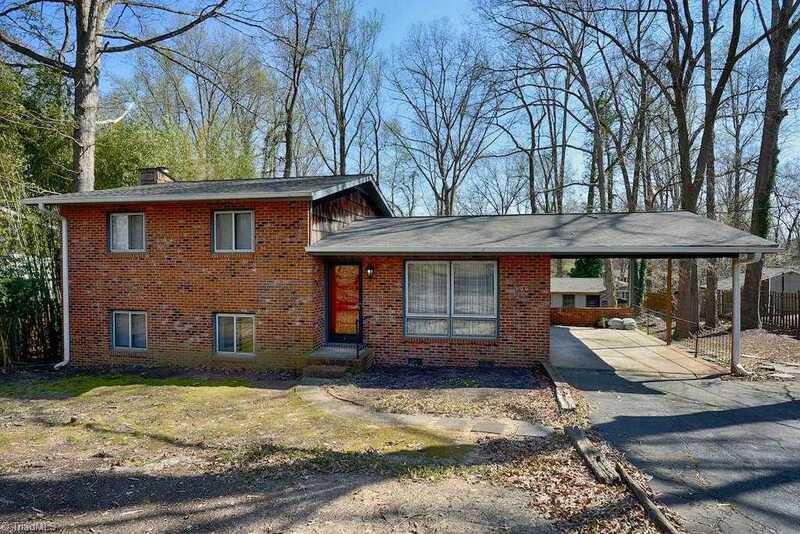 All Brick and cedar shake split level on a wooded lot in desirable Forestdale subdivision in the heart of Jamestown with its amenities and lower taxes. House has lots of space and good floor plan. You’ll love the safety and convenience of Jamestown living. Large Living room has vaulted ceilings as does the Kitchen/Dining Room. Great family home with big back yard. New roof in 2019. Come write your personality on this home! Directions: From Main St Jamestown go north on Guilford Rd then left on Forestdale Dr. go straight to the 2nd block and house is on left. Please, send me more information on this property: MLS# 913005 – $174,900 – 506 Forestdale Drive, Jamestown, NC 27282. I would like to schedule a private showing for this property: MLS# 913005 – $174,900 – 506 Forestdale Drive, Jamestown, NC 27282.